This website participates in various affiliate programs. If you click through on these ads we may receive a small commission at no extra cost to you. Affiliate ad networks generally install cookies to help them serve you targeted ads among other things. They generally have their own policies for you to abide by. 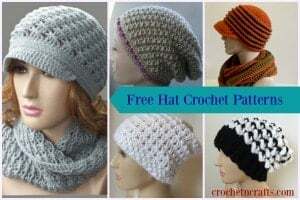 CrochetN’Crafts is a participant in the Amazon Services LLC Associates Program, an affiliate advertising program designed to provide a means for us to earn fees by linking to Amazon.com and affiliated sites. You may opt out of such email communications at any time by clicking the “unsubscribe” button in the email. Information entered in giveaways partnered with EyeLoveKnots is monitored by EyeLoveKnots. You can see their privacy policies here. If you leave a comment on this site you have the option to allow us to save your information for the next time you comment. We require you to submit an email address, however, this email is not published or shared with anyone. We may respond to your comment, however, we will not use to your email to contact you. We use WPForms Lite as our contact form. If you use our contact form to contact us we collect your name and email for the purpose of getting back you. This email is not shared with anyone and will not be used to further communicate via newsletter or any other means. This document was last updated on May 31, 2018.